Welcome to Brothers Renovations, LLC. With over 15 years of experience and customer satisfaction being our number-one priority, you can rely on the professionals at Brothers Renovations for your next remodeling project. With over 15 years experience and a real focus on customer satisfaction, you can rely on us for your next renovation project. We do everything from Kitchen & Bath to Finished Basements, Additions, and more. 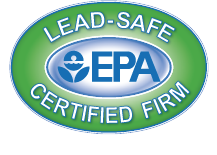 With an EPA LEAD certified, licensed General Contractor running the company, you can be sure Brothers Renovations will get the job done the right way. Broth­ers Ren­o­va­tions is a home re­mod­el­ing busi­ness that prides it­self on high qual­ity work, at­ten­tion to de­tail, and ex­cel­lent cus­tomer ser­vice. Founder Alex Reschka is licensed and has over 15 years of ex­pe­ri­ence in the trade. Whether you just need to up­date a kitchen or are look­ing to turn a fixer-up­per into your dream home, this fam­ily busi­ness will turn your vi­sion into re­al­ity.